God of music, poetry, art, medicine, light, knowledge, etc. Apollo is one of many Greek Gods. He is the god of music, poetry, art, medicine, sun, light, and knowledge. The Olympics were also named after him. 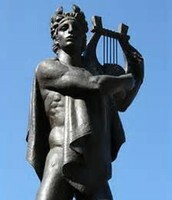 things that represent him are the lyre, the sun, the bow, and the chariot. Apollo was in the Trojan war and killed Achilles. Achilles was not a Greek God but he was one of the greatest Greek warriors. 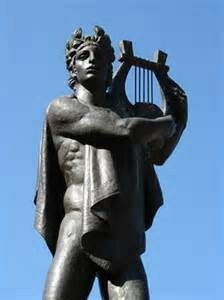 Some people say Apollo dressed up as Paris and shot him in the Achilles while others say he just shot him with the bow without dressing up as Paris. 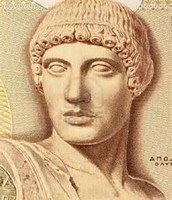 Apollo is the son of Zeus. He is the god of many things and he has many accomplishments throughout his life. For example, Apollo was in the Trojan war and killed Achilles. 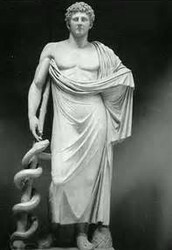 Achilles was not a Greek God but he was one of the greatest Greek warriors. 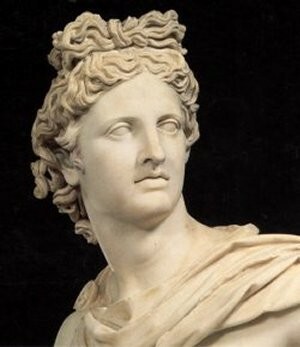 Some people say Apollo dressed up as Paris and shot him in the Achilles while others say he just shot him with the bow without dressing up as Paris.